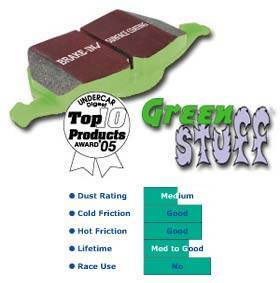 EBC Greenstuff Rear Brake Pads for the 11-16 Scion tC (tC2) DP21947. Designed for premium street driving offering better brake effect up to 600?C (1100?F). EBC Greenstuff has a high initial brake effect and gives drivers confidence! !